The Northern Hemisphere is taking over the orange season from the Southern Hemisphere. While the last oranges from South Africa are sold in Europe, the supply from the Mediterranean countries is getting under way. Spain, as the most important supplier in Europe, is struggling with some problems. Small sizes and rains are putting pressure on the market. Can Greece and Italy benefit from this situation? In the US, the mood is not much better. The last Chilean oranges are making things difficult for the Californian harvest. Small sizes are also expected there. In Australia, there is an almost euphoric mood. Exports are picking up, prices are rising and a lot is being planted. At the moment, the last South African Valencias are being sold in the European retail market; meanwhile, the Spanish season has started in Valencia and Andalusia. Spain's most important citrus growing regions have hit the market with the first Navelinas. At this time, the rain is the biggest threat for the growers in Valencia. Orchards have been flooded, and in some cases, the water has also reached the packing stations. As a result, the fruit cannot be harvested, which has a negative impact on the fruit's shelf life. Moreover, problems are expected to affect the peel due to the ongoing rain. It has been a more difficult season than last year from the very start. The harvest kicked off later because the fruit's quality was not yet optimal. The yield is 23% higher, with an abundance of small sizes. Also, it has stayed hot in Europe for a long time and this has taken a toll on the demand. As a result, the orange market has remained quiet. The growers and exporters are concerned, not only about the rain, but also about selling at low prices. The price is currently lower than in the same period last year. Since there are considerably more small sizes available, the processing industry has started paying 0.10 Euro per kilo. That is half of the price that was reached last year. The stockists and commission agents, who are the ones buying the oranges at origin and reselling them to the processing plants, pay 7 cents; less than what is paid for harvesting for third parties. the price at origin of Navel oranges in the Citrus Fruit Market is 0.15 Euro (in MercaValencia, it is sold for 0.40 Euro per kilo), while that of the Navel Lane Late stands at 0.23 Euro and that of the Salustiana at 0.188 Euro. Week 45 was marked by an increase of the average price. This is the result of the rise recorded by the colored varieties from Siracusa. These have benefited from limited availability, due to the bad weather that hit some Sicily production areas at the end of October. In week 45, the Navelina harvest started in the Metaponto regions. The quality of the first batches is satisfactory, despite the fact that the color is not yet homogeneous due to the above average temperatures recorded. The starting price was slightly higher than last year. The price for the product from Taranti fell as a result of a larger supply and unreliable quality, which is a result of rainfall during the last stage in the fruit's ripening process. Due to various factors, including diseases such as the Tristeza virus, the production of Sicilian oranges is low overall. The Moros reached a high price at origin. In comparison with last year, the price is 30% higher. The wholesale and retail contracts are expected soon. At the moment, international buyers are unsure due to the high price of the production. The 2018/2019 campaign is starting with good prospects for the PDO Orange from Ribera, Sicily. In recent days, the sale of the first Navelinas has started with a higher average price than last year. Controls in the field confirm the "excellent quality" and average fruit sizes. On average, the harvest will be comparable to last year's. The Navelinas are harvested until December, after which the Brazilian and Washington Navels take over the market. A 20% greater volume is expected. The prospects are also good for the early Vaniglia, the sweet orange from Ribera. The acreage devoted to this variety is expanding every year. This month, the season is starting for the various marketing organizations. Greek cultivation is largely fragmented, so the acreage per grower is small. A high percentage of the growers are part-timers. As a result, there is little room to invest in cultivation. Exports mainly focus on Eastern European countries, with Poland, the Balkans, Romania and Bulgaria as the most important destinations. The prospects for the season are good, with a good harvest and good quality. The exporters also have no complaints about the fruit's sizes. At the moment, dynamism is lacking in the French citrus market. There is a great supply from different origins and a poorly active demand. Prices rely to a large extent on the quality. In Corsica, orange cultivation is fully underway. The goal is to bring the fruit on the market during the month of December. Just like the famous Corsican clementines, these will be sold with leaf. 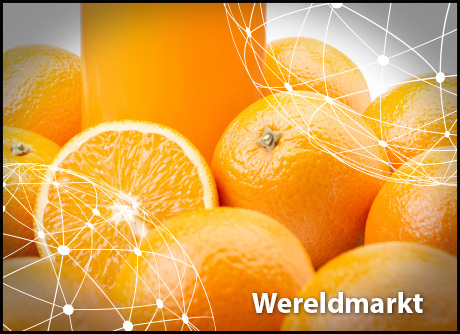 In the German wholesale trade, the European orange season is gradually starting, although here and there, South African Valencia Lates are still sold. It is assumed that the South African season will definitively come to an end within 2 weeks at the latest. The first Spanish Navelina oranges of the season have also been on offer for 1 to 2 weeks. The sales prices for A-quality currently oscillate between 1.50 and 1.80 Euro per kilo in the wholesale. Well-known quality brands, including Rotkehlchen, Götterfrucht and Die Süße Susie, are the most eagerly demanded in both wholesale and retail. In the coming weeks until Christmas, the blood oranges (Tarocco, Moro and Sanguinelli) from Italy will also come on the market. With regard to this product category, it has come to mind that the early marketing of blood oranges usually happens at the expense of quality and taste. The better blood oranges are therefore only offered after the turn of the year, according to specialist traders. The first Spanish Navelinas are currently arriving on the Dutch market. There is also a sufficient supply of juicing oranges. The fruit has arrived later than in previous years. Also, the prices are currently normal for the time of the year. Importers report that everything is going as it should, without further details. They also say that the Spanish production is facing more competition from Moroccan and Egyptian citrus. In December, the first Navelinas from Morocco are expected, followed by the Salustianas for juicing in late December. The season in California looks like the opposite of last year's. A trader says that there are many small sizes. He attributes this, among other things, to the heat that plagued the Orange Cove valley. "On top of that, we've had practically no rain, so it is very dry," he says. This season, therefore, a peak is expected in the supply of small and very small calibers. The season started a little earlier than normal, on 22 October. Last year, the picture was reversed. The sizes were mostly large and there were hardly any small sizes available. It is still uncertain what the actual harvest volume will be this year, but looking at the fruit on the trees, a larger one is expected. Besides California, the season in Florida has also started and the import season is still underway, "especially for Chilean fruit. They've been supplying slightly larger sizes, and this is good for them, but we are still waiting for them to leave the market." As a result, the demand is currently small and is expected to remain low until Christmas. Nice prices are recorded for the larger sizes, while the price for small sizes is under pressure. "It has dropped considerably since the start of the season and I do not think we've already reached the bottom," says a trader. Growers in Queensland reported a smaller harvest and a shorter season this year, says Citrus Australia. The quality was not under pressure, however, and the prices were at a better level than last year. This is also due to the growing exports. The sector is therefore preparing for a second record year. According to a trader, prices are three times higher than five years ago. The value of exports has increased by 10%, exceeding 500 million Australian dollars (320 million Euro) for the first time. Expanding in new markets has become essential for Australian growers to be able to cope with competition from other countries. Both China and Japan have become important export destinations for the Navels from the south. Vietnam is a premium market that is prepared to pay a good price for the right caliber (medium to large). In the export markets, more attention is paid to the fruit's quality. This is becoming a more important aspect, especially in China. Due to the growing export market and the good results, a lot of trees are currently being planted, mostly of the varieties that are currently in demand. It has been a difficult season for South African orange producers, especially due to surpluses in certain markets caused by the larger supply from Egypt. South Africa has exported more than 78 million boxes (15 kg) filled with Navels and Valencias. In the Western Cape, there were some issues with the fruit's sizes due to the drought. Problems with the Navels were also reported in other parts of the country. This season, the country has gained access to the US market for the first time. The exporters reacted enthusiastically. In earlier estimates, the government believed it would be possible to ship the first citrus to the US in 2019, but it turned out that the export could start earlier. The US is an important export market for Colombia. Between January and September of this year, the volume of Tahiti lime and orange exports to five different international destinations amounted to 212,000 tons. Between January and June of this year, the country exported 30,000 tons of mandarins, oranges and lemons, which generated a turnover of 20 million dollars. The US was the most important market, accounting for 60% of the volume. The EU is second with 20% of the exports. Next in the ranking are Russia, Brazil, Canada and the United Arab Emirates. But the country is still looking to expand. Chinese importers have showed interest in the Valencias that are on the market in July and August. Moreover, the Philippines, Indonesia, India, Vietnam and Mexico are mentioned as interesting export markets. The first outlook for the 2019/2020 season in São Paulo and Triângulo Mineiro that was published earlier this month is positive. Rain fell in the production areas in October. In some areas of São Paulo, the volume of rainfall exceeded the historical average. According to some producers, prospects are particularly good for the southern growing areas, since the weather conditions are favorable. Although it is still very early for an accurate prediction, the sector is currently optimistic. The 2018/2019 season came to an end with less positive figures. São Paulo and Triângulo Mineiro recorded a 31.4% drop in revenue compared to the previous season. 273.3 million boxes (40.8 kg) were filled with oranges, which was 5.2% less than what was reported in May. Earlier this year, there were still concerns for the coming season because of the drought. These concerns now seem to have disappeared. The entire citrus sector is divided into exporters who are enthusiastic about the interest in the world market, with China having opened its borders to Argentinian oranges, and growers who are facing a greater tax burden and higher interest costs for financing. "China received containers of Argentinian oranges for the first time in history and that opens up massive prospects on what similar markets could offer," said a trader. The export of lemons to the US has picked up again and exporters hope to be able to follow through with the shipment of oranges to this market. The citrus season has come to an end with more than 358,000 tons exported to various destinations worldwide. This entailed an increase of 32%. 28% of that volume corresponded to oranges, which took second place behind mandarins (30%). Yet the orange season has been described as "difficult." Frosts took a toll on the fruit on the trees, but nevertheless, the yield was greater than previously expected. Some 99,800 tons were exported, which is more than in the previous season.